← Bring It On, Bandai! I Will Fight! Some comparisons of fixes for episodes 18 and 19 from vol. 7 which was released today. Click the images for full-size versions, our layout resizes them automatically so they look a bit blurry here. 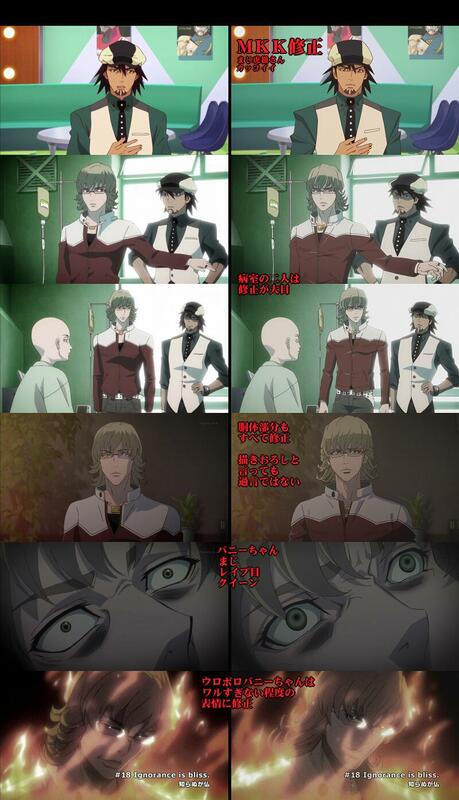 First image from the second picture :O Barnaby’s hair was missing! It’s just…it looks like they added a fish eye effect or something. or maybe it’s the absence of light….i don’t know but it makes me shiver…oh god.